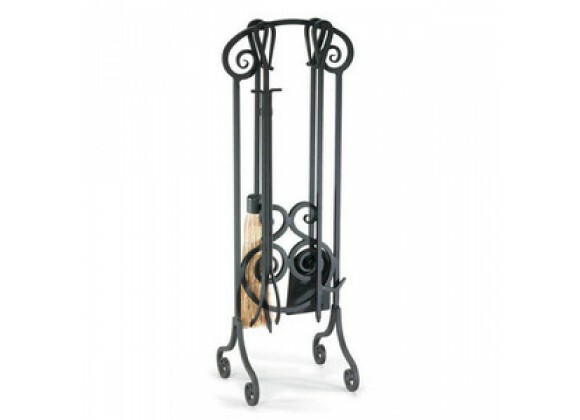 Add atmosphere and charm to your hearth with this Napa Forge 5 Piece Antique Scroll Fireplace Tool Set. Even if you don't have a practical need for the tools included in this set, they still provide an authentic look for your fireplace. Gas inserts and fireplaces can benefit from the elegant design of this tool set just as much as traditional wood-burning ones. Decorative design featuring forged loop twirls on handles and stand. Provides an authentic look to your fireplace.